The aim is to learn two structures: a small meander book and a matching box. 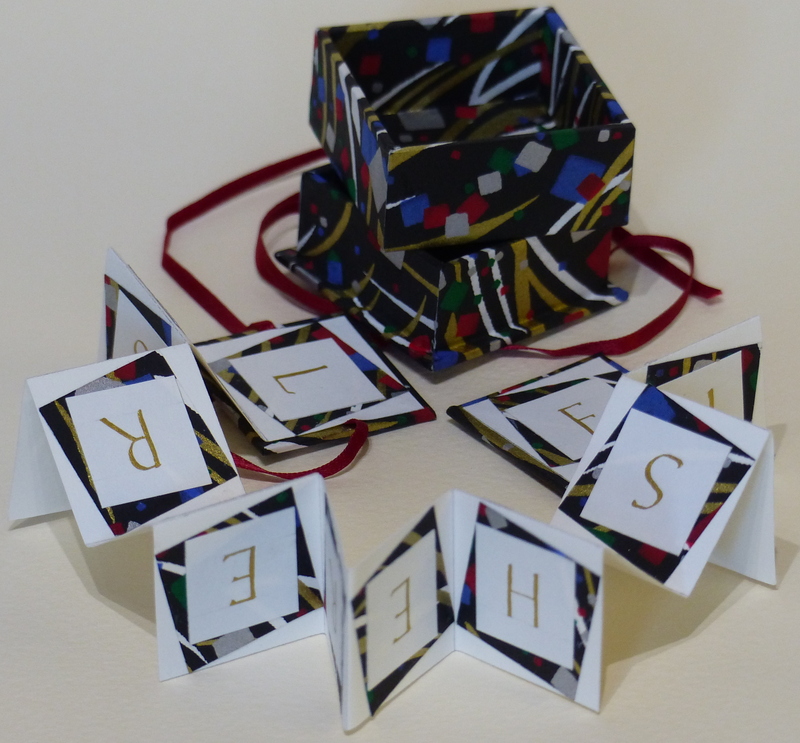 The book is a variant on the accordion book, using a square of paper instead of a strip. It will have hard covers at either end and be tied with ribbon. The rigid box is made from mount board and covered with decorative paper. The lid has edges flush and the base a lipped edge. If time allows, participants may add calligraphic content to the book with paint, inks, coloured pencils etc. Cost: £30 (members) £35 (non-members). £5 early-bird discount if booking by 11th March.